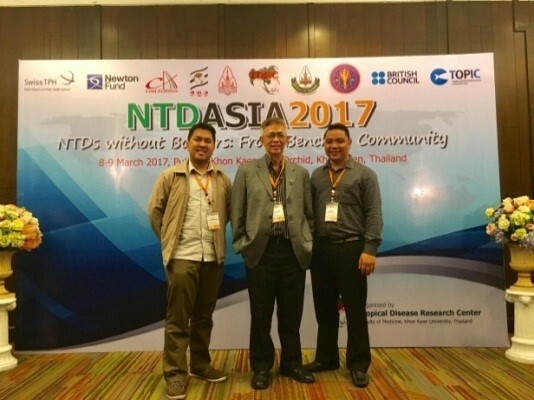 Dr. Floro Dave Arnuco faculty of the Ateneo de Zamboanga University-School of Medicine (AdZU-SOM), accompanied by the dean Dr Fortunato Cristobal, reports on his recent trip to The Land of Smiles to attend the Neglected Tropical Diseases conference held March 7-9, 2017 in Khon Khean, Thailand. Following is his narrative on his learnings and reflections, including how the conference affirms how Ateneo Med schoolâs own community engagements for 23 years has effectively addressed disease control in the region. 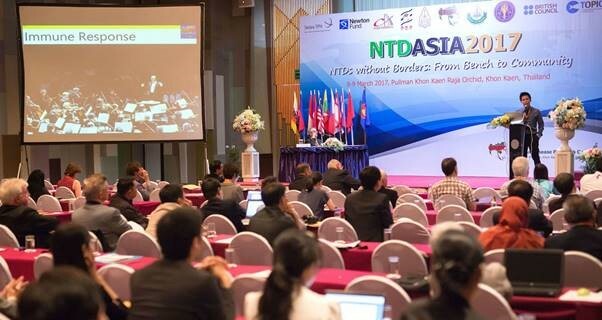 NTD (Neglected Tropical Disease) in Asia was the highlight of the international conference held in Khon Khean, Thailand. The âneglectedâ status given by the WHO, is currently involving the large scale mobilization of resources to improve the control of these diseases now estimated to affect 1 Billion people mostly in low-income countries. The WHO has identified 17 tropical diseases as neglected including zoonotic disease like cysticercosis, rabies, filariasis, leprosy, echinococcosis, sleeping sickness, etc. all of which are common in region 9. The conference was attended by more than 200 delegates, mostly from Asia, and also from Russia, Siberia, and USA. The topics discussed ranged from issues in the laboratory involving high-tech methods for establishing diagnosis such as genomic encoding, to community involvement through participatory action researches. A new trend has merged implicating global climate change affecting the eco-system, in turn, leading to change in the infection pattern of the neglected diseases. Thru the new technological capability using geographical positioning system (GPS), animal hosts are tracked to trace how this eco disturbance leads to a broader and wider expansion in the spread of the diseases. Ultimately, this eco-change is also affecting economics and social demography including peopleâs migration with a more viscous cycle of infection impunity. The conference also challenged the current health system to improve their operation and to welcome public-private mixed enterprise to address these emergent trends. The challenge has moved from disease to health system issue, to cope in the context of global climate change as the driving force to the changing pattern of diseases. The closing talk casted a bleak global future that can dampen oneâs spirit. What is very promising, however, was the visit to the community where conference participants saw how people were infected with opisthorchiasis (human liver fluke) by eating raw fish (a practice forming part of their culture). Unfortunately, 60% of the fish in the lake were infected, but with community participation, intervention and through massive educational campaign, fish infection drop to 1%. This community intervention project of Thailand re-affirmed with evidence what ADZU-SOM in all these 23 yearsâ experience has been showing and preaching, that is, through community engagement, disease burden can be effectively addressed and controlled. 2. 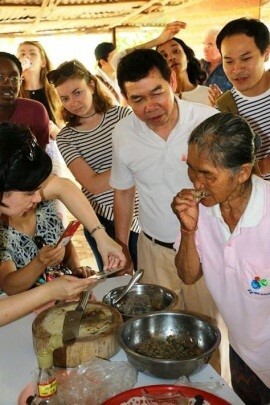 AdZU-SOM visited KK University, a huge University sprawling in a 20,000 hectare, with a population of 40,000 students. It is the WHO center for research on Opisthorchiasis in the world. 3. The visit has broadened the AdZU-SOM conference participantsâ appreciation for some of the neglected Diseases which have not been given visible recognition in the country but are existing right in our backyards. Some of the very prevalent diseases in Region 9 which have remained neglected include Schistomiasis, Paragonimiasis, Elephantiasis, and Rabies. 4. The researches presented at the conference are comparable to those done by AdZU-SOM MPH and undergraduate students, except for the highly technical laboratory studies from S. Korea and Japan. It is unfortunate that AdZU-SOM could not afford to send its students to participate in international conferences such as this. â¢ Send faculty for training in this field to provide leadership for the proposed Center. At present, there is no one trained in Tropical Medicine for the entire Zamboanga Peninsula. 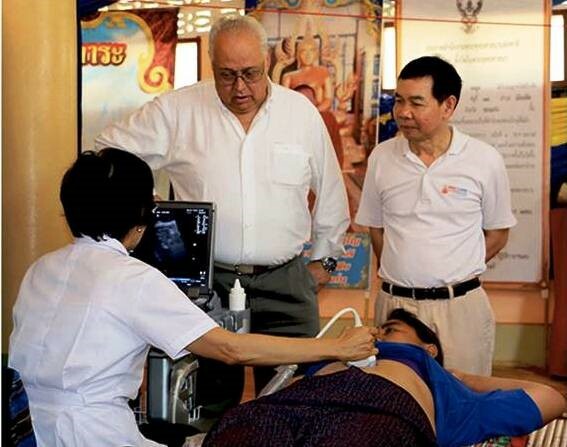 Training in Tropical Medicine at KKU may be financed by the KKU scholarship trust fund.